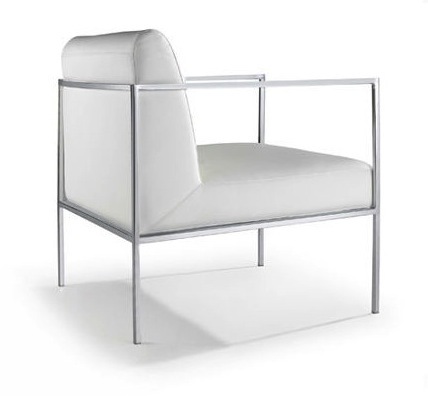 Delano Chair is a modern chair with classic sensibility. 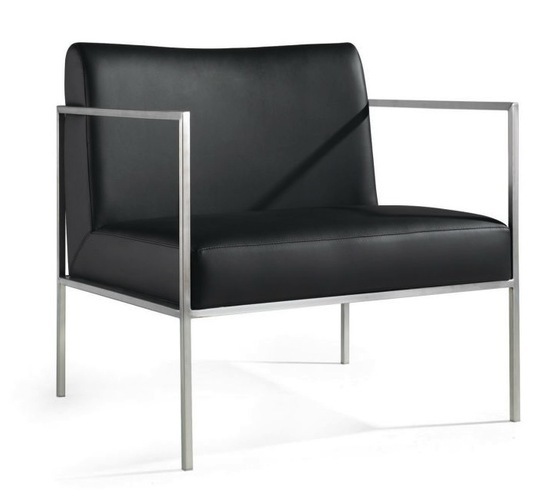 Featuring a stainless steel frame, luxurious top-grain Italian leather upholstery and CFS foam for extreme comfort. 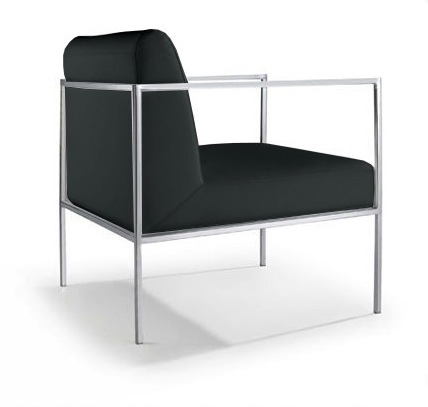 Delano chair is perfectly designed for relaxing or waiting, because of its ergonomic seating comfort; it would look perfect in both residential and commercial spaces. The feet include small plastic stoppers to assist in the prevention of scratching on your floors. 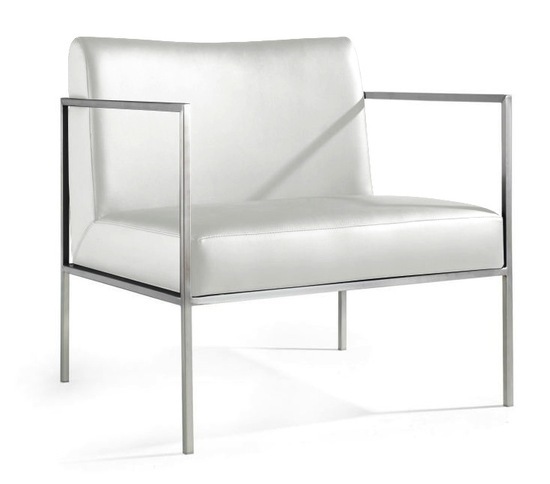 Delano Chair available in your choice of White or Black Leather.